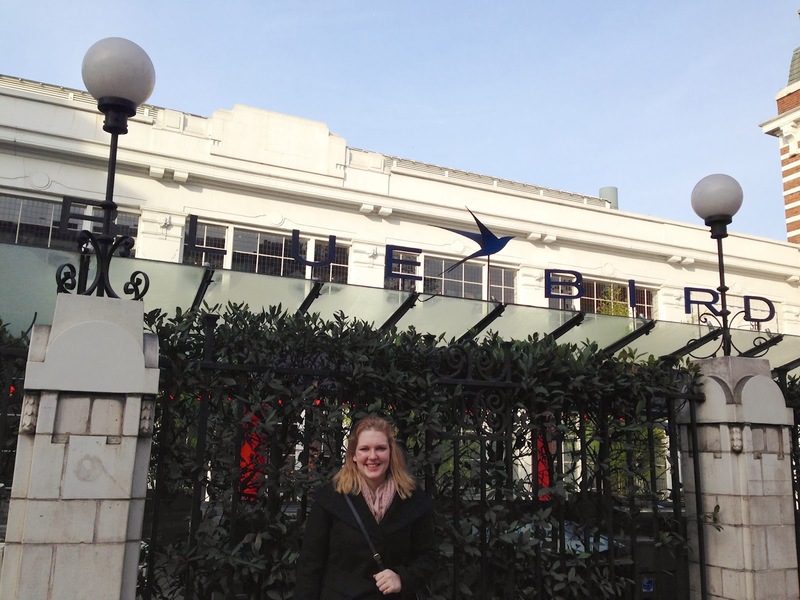 Lovely Travels: A personal travel blog : The Bluebird. My dreams came true recently when my friend and I went to The Bluebird! This is a restaurant featured frequently on Made in Chelsea and it has amazing food. All in all it was a great meal!! 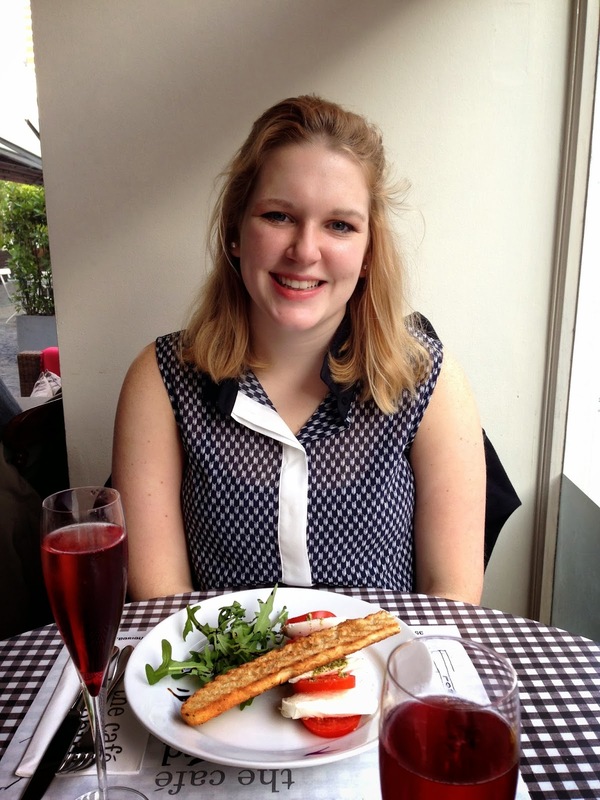 We both ordered Kir Royales and they were delicious! I am really started to enjoy drinks more. In Rome I would try to find a cocktail I liked and always ended up hating them. But now I find it's nice to slowly drink while eating a meal! 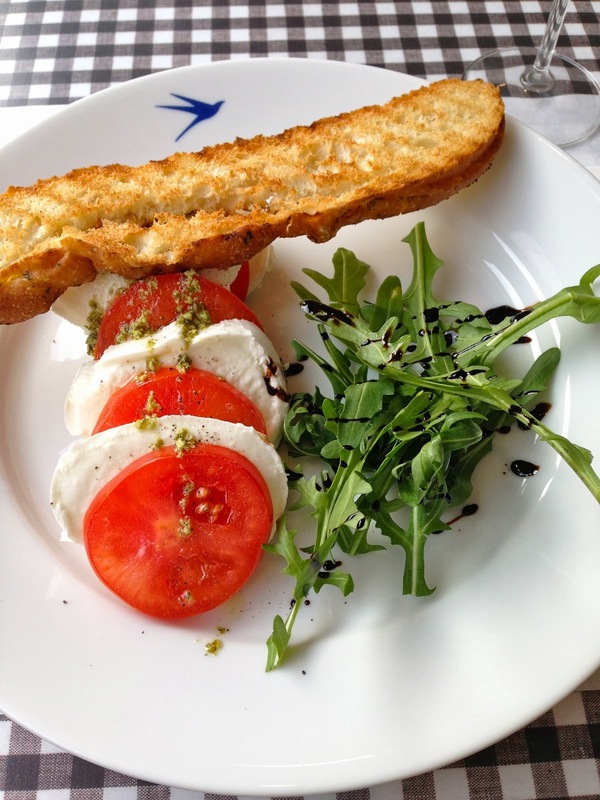 For lunch I got caprese salad with arugula on the side. It was the perfect size and tasted very fresh! It was a nice change from all the chips I have been eating!